It's a brand new year, a time where many people attack their New Year's resolutions with excitement and resolve. If you were one of the many people whose resolution involves finding a new job or making career change, you may be wondering where to start. Here are nine steps you can take today to position yourself well to find your next gig. Update your LinkedIn profile: Most recruiters are actively using LinkedIn to find candidates. Will they find you? If so, what will they find? Do you have a (somewhat professional) photo? Do you have a compelling headline that will catch their attention? Is your profile 100% complete? LinkedIn is one of the top sourcing platforms for Recruiters, so how you present yourself here is important. You can find some great tips on how to create a compelling profile from LinkedIn expert Craig Fisher here. Create a LinkedIn job search agent: While you're at it, use the advanced job search feature in LinkedIn to search for compelling jobs. When you're on the results page, save those results and create an agent. You can configure the agent to send you daily or weekly listings of job opportunities directly to your inbox. Create an Indeed.com search agent: Indeed.com is another great resource many job seekers may not be aware of. They are the #1 job site worldwide, with over 80 million unique visitors and 1.5 billion job searches per month. Indeed aggregates job listings from job boards, career sites, and other area of the web and presents them in a clean searchable format. You can also create job search agents like the above LinkedIn example. Here are some additional job search tips from Indeed. Build a personal website: For many roles a digital and online presence can be an important part of your job search (more on that in the next bullet). Whether you build and actively maintain a blog, or use free tools like About.me (you can see my page as an example here) or Flavors.me to create online portfolios - it gives you an opportunity to make yourself 'findable' online and showcase your work and expertise. Expand your digital footprint: What's a digital footprint? Google yourself, what do you find? If the answer is nothing, you have little to no digital footprint. Being active in social media or other online channels can help you build and expand your digital footprint, and help position you as knowledgeable in your given field. Blogging is a great tool for this, but it's not a necessity. Twitter, LinkedIn, Quora, Google+, Facebook, topical online forums, user groups, etc are all great places to share your knowledge and contribute to your community - and will help to build your digital footprint. Expand your network: Networking is one of the single most important things you can do for a successful job search. Building and nurturing your network takes time, but pays dividends in the long run. Get strategic: If you want to conduct an active job search, be strategic. Build a list of companies you might want to work for and do the following: bookmark the career sites in a centralized spreadsheet so you can check them on a regular basis, check your network on LinkedIn to see who you know at each company, work to expand your network in these organizations. Get a personal board of directors: The saying 'it takes a village' definitely applies to your career. Having mentor/s is great, but not everyone has that opportunity. Creating a personal board of directors involves building a group of advisors you can reach out to for career advice throughout your career. Friends, former bosses or colleagues, people in your field you look up to and respect - all are potential advisors that can help your career. The key is finding people who will be honest with you, and help you see your career 'blind spots' and growth areas. 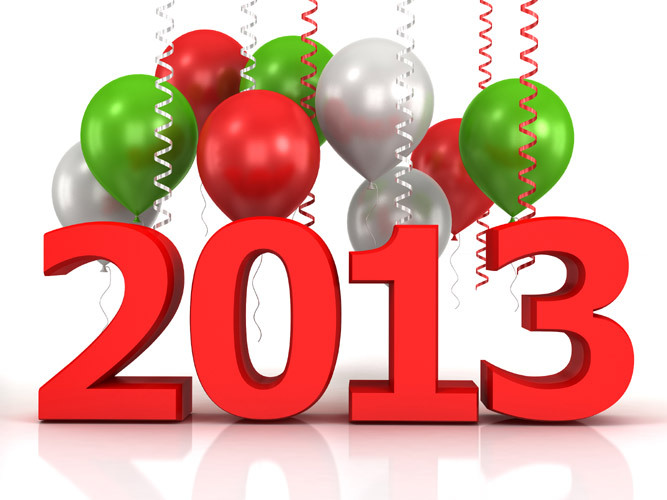 This list is far from comprehensive, so share your tips for 2013 in the comments section below. Good luck to you in 2013!